I’ve grown to realize that each person and “religion” is entitled to their own take or philosophy on God and when good or bad things happen. My wisdom has taught me that sometimes, just sometimes, unexplained bad things just happen to good people. If in society and the species of man it’s so wrong to perform such acts of violence why do groups of “believers” praise a God, blame a God, for “creating” such violence? God don’t make no junk! The innocence of creation in a newborn is not one that upon experiencing life, is to be destined to be so troubled that such violent acts are performed against others. God created our minds as well. We create the experiences and/or interpretations of them. What if in our day to day lives, we followed Gods (apparent) example of what some believe? What if we punished our pets, our children, our friends, our spouses, our co-workers with acts of tragedy? Is this the sort of world that a God created? For many, youth included, life is a whirl wind of stress. Coping and managing day to day is the hell that we choose. This is something WE need to take responsibility for. For any of you that still believe that God punishes non-believers, gays or anything else that you personally oppose, I say poo poo to you. Is it easier to look up in the sky and point, rather than look in the mirror? Get rid of the guilt, anger, shame, fear. 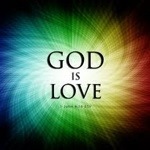 God is a loving God. You were born perfect. You were born loved. There is no one to blame for the interpretation, choice or actions of your life but YOU.